Coca-Cola Has Got Some Bottle! 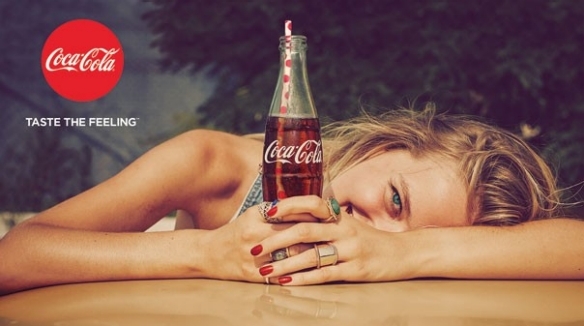 The most iconic packaging on British shelves has been revealed as the Cola-Cola glass bottle. A study of 1,500 Brits explored the influence of packaging and branding on everyday shoppers and found that one in six thought the Coca-Cola bottle was the most identifiable in terms of packaging, and was just as recognisable without its logo or the product itself. The research, which was commissioned by Easyfairs, organisers of Packing Innovations and Luxury Packaging London, found FMCG brands dominated the top ten, with the Toblerone Triangular prism bar finishing as a close runner up, while our ‘love hate’ relationship with Marmite continued with the iconic Jar coming in third place as the best-loved product packaging. In comparison beauty brands, such as the Tiffany Box, Chanel No.5 Bottle and the Jo Malone Box narrowly missed out on the top ten. Over the last few years Coca-Cola has significantly altered its marketing approach to encompass the younger audience too, and it seems to have paid off with one in five Millennials selecting the bottle as the most recognisable pack product. The humble tin of Pringles, housed in their iconic cylinder tube, was the Millennial’s second favourite. The study also revealed barcodes as the greatest packaging invention, with one quarter of Brits picking the famous parallel black and white lines. The Cardboard Box came in a close second with 21 per cent of the vote, followed by Re-Sealable Zips (20 per cent) and Vacuum Packaging (16 per cent). Interestingly, the younger generation, 18-34 years, voted for 3D Printing and Re-Sealable Zips as its top two. As expected, when each age group was interrogated further there was a clear correlation between age and the ranking of more modern packaging approaches, with nearly one in six of 18-34 year olds selecting 3D Printing as the greatest packaging invention to date, in comparison to only 3 per cent of those age 65+.